My washer will start when I push the start button, but a few seconds later, it will shut off or shuts off during the cycle. There are 4 common trouble makers to consider. 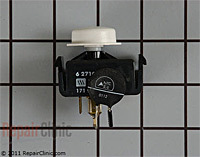 One is the door switch, it can open circuit and stop the washer. For some reason Maytag has seen fit to discontinue the lock and latch as a complete assembly and will only sell it as individual parts new. Second is water pressure. If the water pressure is low/poor, the washer will start to fill and then shut off. 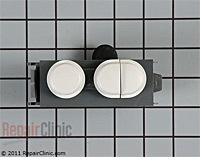 Check and clean the fill valve entrance screens and also check for any washer screens on either end of the fill hoses. There is a low water pressure fill jumper kit assembly part# 12001482. To see info on the 12001482 link kit check it out here. 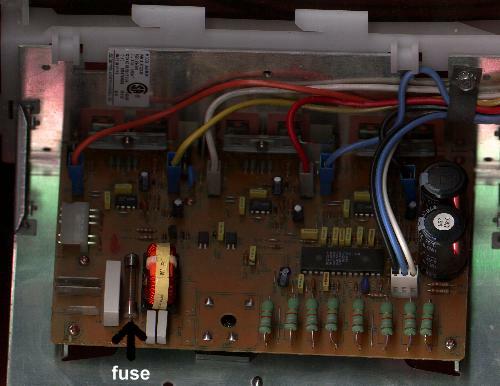 The fourth is a bad start switch, sometimes the contacts in the start switch will arc and burn causing starting up problems. 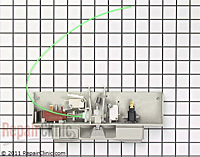 There should be no continuity between any of the terminals and the frame of the motor.